If you have more than half an acre to mow, considerable time is set aside every week to give your acreage that polished look. The answer to speeding up this chore is the Zero-Turn Radius (or ZTR) mower. 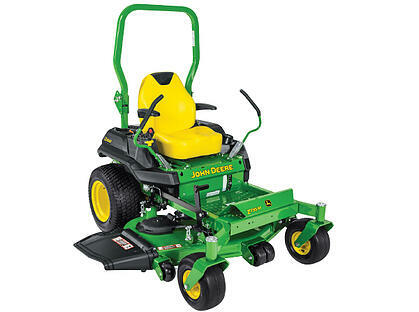 The hallmark is that these turn on a time—literally— but many also have a mowing speed considerably higher than most conventional lawn tractors. Perhaps best of all, ZTRs are a gas to operate, with most being steered via easy-to-learn lap-height hydraulic levers. So if your weekly mowing doesn’t put a smile on your face, take a look at some of 2019’s most exciting ZTRs. 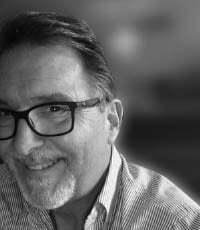 Brand new for the 2019 season, BOB-CAT specifically for homeowners with large properties. The ProCat 5000 features BOB-CAT’s bullnose AirFX Cutting System which offers efficient airflow and superior vacuum lift—the result is an unmatched quality of cut, even clipping dispersal, and a cleaner deck at the end of the day. The ProCat 5000 also includes a deluxe suspension seat, almond-shaped handles and smooth responsive controls. New for 2019, Deere’s Z700 brings a commercial-grade experience to the large yard homeowner: Productivity, long run-time, and durability are the model’s bywords. 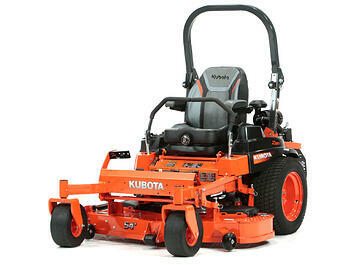 Equipped with 23 hp to 25 hp engines, the large fuel tank can keep operators mowing to get the job done. 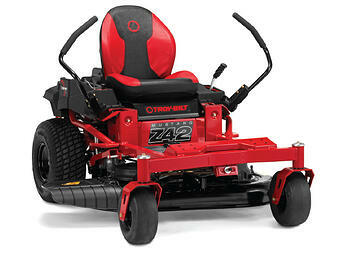 Z700 Series mowers are equipped in either 48-, 54-, or 60-inch mower decks. Deere’s ComfortGlide system provides up to two inches of wheel travel to isolate the operator from bumps and rough terrain. The Ferris ISX 800 features a new patent-pending ForeFront Suspension System, ensuring the caster bearing remains vertical through the full range of travel, resulting in a smoother ride, more precise tracing of the terrain, and an improved cut. 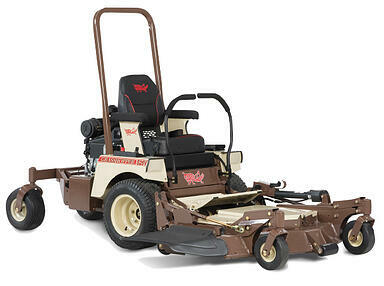 ISX 800 is powered by either a Briggs & Stratton Commercial Series or Kawasaki engine, offers a 52- or 61-inch cutting deck, and can mow up to five acres per hour. 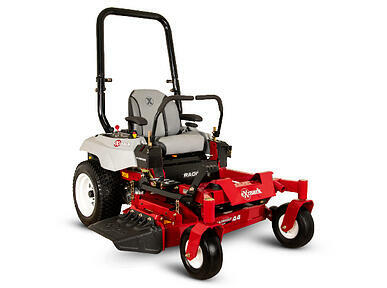 The Exmark Radius E-Series ZTR prices begin at $4,999, bringing value to the category, yet still delivering Exmark’s reputation for heavy-duty, quality mowers. Available in four cutting deck widths from 44 to 60 inches, operators can quickly and easily choose cut height. The high-backed foam padded seat with armrests and integral safety switch provides hours of comfort for large yards. With an accurate mowing speed of up to eight mph, Grasshopper 500V mowers are the fastest, most compact out-front zero-turn mowers on the market, the manufacturer says. Low-profile cutting decks come standard with industry-exclusive folding electric deck lift at the touch of a switch for easy maintenance and storage. All-steel design, commercial-grade components and maintenance-free multi-point suspension are aimed at reliable service, comfortable operation and clean, professional cut. 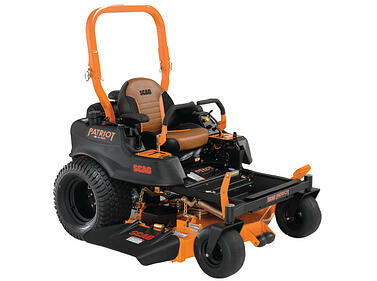 Designed for the needs of large estate owners, Scag’s Patriot model delivers commercial-grade results and a beautiful quality-of-cut. 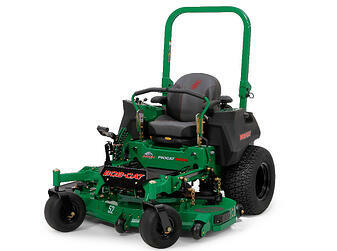 Featuring either Kawasaki or Kohler engines, the mower’s strong hydro-drive system covers ground speeds of up to 8.5 mph (52” model) or 10 mph (61” model). An easy-to-use foot pedal adjusts cut height in quarter-inch increments. For operator comfort, the Patriot features a thick-cushioned, adjustable torsion spring suspension seat. 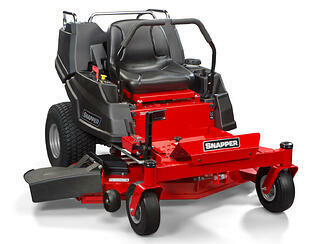 Snapper 360Z offers either a new compact 36-inch or 46-inch stamped, or a 42-inch, 48-inch or 52-inch fabricated steel mower deck The commercially-designed 360Z has a fully welded steel frame, thick-walled front axle, and easy access maintenance points. Available on select models: a simple foot-operated mower deck lift with13 height-of-cut positions, and an integrated rear cargo bed with a 50-pound capacity. Designed for residential needs, and featuring the industry’s only full-length solid steel frame, the Mustang Z42’s new solid welded 2”x2” tubular top-frame adds extra rigidity and durability over rough terrain. 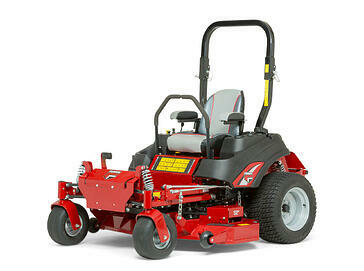 Power comes from a 679cc Troy-Bilt-certified engine. Luxury high-back seat with stitched upholstering offers hours of comfort. The stamped 42” twin-blade cutting deck creates better airflow than fabricated cutting decks. Nine cutting-height positions are easily adjustable.